Work together with local people to contribute to local adaptationIn ecology, adaptation is the process by which a species acquires certain traits that improve survival in a particular environment.... More strategies to cope with the impacts of climate changeAccording to the United Nations Framework Convention on Climate Change, climate change is change in the climate of the whole Earth or a region of the Earth that is believed... More in the Arctic. Over the course of INTERACT we will develop a range of web-based material and run community-based projects. An initial survey of user needs suggested that providing resources such as photos and videos is a good place to start, so we have developed a photo gallery. 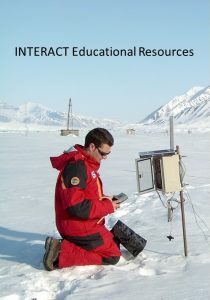 We’re now building an online Arctic glossary, resources relating to citizen science and you can follow INTERACT using the range of social media sites listed on the right. 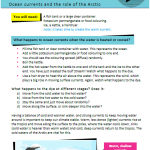 “The Changing Arctic”, a Mass On-line Outreach Course (MOOC) has been developed by Terry Callaghan and Hannele Savela based on the INTERACT book “Stories of Arctic Science”. The course was commissioned and supported by Tomsk State University as a joint venture between TSU and INTERACT and it is also affiliated with the University of the Arctic. 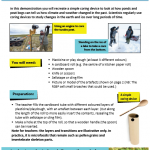 The course is presented by Terry Callaghan and is available in English and Russian. It covers all aspects of climateThe average weather we would expect over a long period of time (seasons, years, decades). Climate varies from place-to-place across the Earth. Climate is determined by long-term (over at least... More and environmental change in the Arctic and its local and global consequences. INTERACT scientists are blogging about their work. 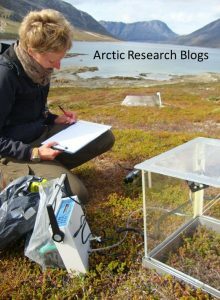 Blogs are posted by researchers that are using the opportunity to do field work on a wide variety of topics, but all related to the Arctic and northern environment. 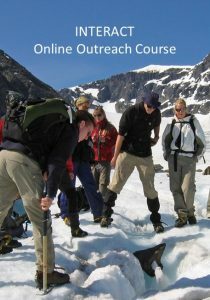 Join the adventure by reading the Arctic Research Blogs! 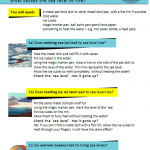 INTERACT collaborates with Wicked Weather Watch to produce resources for teaching Arctic climate change issues in schools.